With the election of a new president, there has been a lot of talk about shaking things up. Republicans are in control of both houses of Congress, and there is a Republican president in office who has been very vocal about changing the status quo. And just like every other changing of the guard before this one, there has been a lot of talk about taxes – particularly bringing them down. Tax reform is always on the agenda for politicians. They want to raise taxes for some, lower taxes for others, or maybe lower them for everyone (the most popular option). But everyone has a different idea of how to go about making our tax system better. No matter what changes, it is always important for you to work with a Mesa tax law lawyer who can help you understand how the changes affect you or your business. As the president, Donald Trump has had the biggest megaphone for his proposed tax reform plan. Specifically, Trump’s tax reform plan aims to help middle-class families, to address the problem of jobs going overseas, and to create more working opportunities at home. The plan strives to meet these goals by simplifying the tax code and allowing more people to keep more of their money. It also works to meet these goals by proposing changes that would discourage corporate inversions. If you are a single person making less than $25,000 a year, you would not owe any income tax under the Trump proposal. If you are married and you jointly make less than $50,000 a year, you would not have to pay any income tax. If this plan is implemented, about 50 percent of the current taxpayer rolls would be removed, or about 75 million people. Others who are expected to still owe income tax are projected to save about $1,000 a year under the new tax proposal. Currently, there are seven tax brackets that determine how much people much pay in tax depending on their income. Trump proposes that we have only four tax brackets, paying no tax, 10 percent, 20 percent, and 25 percent. The marriage penalty, the death tax, and the Alternative Minimum Tax would be eliminated. Single payers making up to $50,000 would pay a 10 percent tax rate, as well as married couples making up to $100,000. The 20 percent bracket would include single payers making up to $150,000 and married couples making up to $300,000. The highest tax bracket of 25 percent would include single payers making over $150,000 and married couples making over $300,000. Trump proposes cutting the corporate income tax rate across the board to 15 percent, whether the business is a small startup or a Fortune 500 company. Trump suggests that lowering the tax rate will disincentivize businesses from taking their jobs or assets overseas to get a lower tax rate, which means that more jobs would stay in the country, helping to improve the economy. The plan would also offer businesses the chance to bring any cash being held overseas back to the United States and pay a discounted 10 percent tax. The benefit would be a one-time offer. The tax cuts in the plan are said to be paid for by bringing corporate cash back home and by reducing or eliminating deductions and loopholes used by the very rich. The plan would also put a cap on business deductions. So far, no action has been taken on the Trump tax reform plan. And thanks to the recent flop on healthcare reform, some believe that tax reform may either take a backseat or may not happen at all. The healthcare plan requires more money than the budget can allow with the proposed tax cuts. Plus, the Republican party faces so much infighting that they may be unable to agree on tax changes. Rand Paul is a senator from Kentucky, and he was a Republican presidential candidate before losing out to Donald Trump in the primaries. Paul is promoting a tax reform plan known as the “Fair and Flat Tax Plan.” Essentially, Paul proposes that we eliminate the current income tax system and replace it with a flat tax of 14.5 percent on all individual income, business income, and investment profits. For individuals, the flat tax rate would be applied to income, of course, but also to dividends, capital gains, rents from personal properties, and interest on any investments. Individuals could still take deductions for mortgage interest and charitable giving, and they could still get the Child Tax Credit and the Earned Income Tax Credit. It would also increase the standard deduction to $15,000 per person and increase the dependent exemption. Some people wouldn’t see very much change under this plan. However, those in the top income brackets would see significant savings. The people who make the most money would pay a tax rate more than 25 points lower under this plan. That means that the people who make the most money would save the most on what they pay in taxes. Paul’s tax reform plan would also repeal the Alternative Minimum Tax, as well as estate and gift taxes. Corporations would also see big savings under this tax plan. Paul proposes getting rid of corporate and payroll taxes and replacing them with a flat 14.5 percent tax on businesses, known as a business activity tax, or BAT. The new tax would allow corporations to deduct their capital expenses immediately instead of showing the depreciation over time. It would also mean that businesses could not deduct wages from their profits. That means that nonprofit businesses and government agencies would end up paying taxes on wages, even if they didn’t owe payroll taxes under the current system. There are numerous criticisms of Paul’s plan. Eliminating the wage deduction means that wages are taxed twice: Once when businesses pay taxes on them and then once more when individuals pay taxes on their income. Critics also predict that the proposed tax changes under Paul’s plan would result in between $1.8 trillion and $15 trillion in revenue losses. Paul says that he would pay for the revenue cuts by dramatically cutting back on government spending – a claim that he has backed up in his budget proposals in the Senate. It is clear that Paul’s tax plan would dramatically simplify the tax code, but it would also dramatically reduce government revenue and would result in the scaling back of government programs and services. Paul Ryan is currently the Speaker of the House of Representatives. Ryan and Kevin Brady, the chairman of the House Ways and Means Committee, have jointly introduced a tax reform plan known as “A Better Way.” The six-point plan is organized by issues of poverty, national security, the economy, the constitution, health care, and tax reform. The “Better Way” tax plan lowers the personal income tax for most and consolidates the tax brackets. More high-income earners would be brought into a lower tax bracket, saving them significantly. At the same time, the Ryan plan would increase the standard deduction, though not as much as the Trump plan. It would take the deduction for a single person from $6,300 to $12,000 (instead of $15,000 under Trump’s plan), and the deduction for a married couple from $12,600 to $24,000 (instead of $30,000 under Trump). The plan would eliminate itemized deductions except for mortgage interest and charitable contributions. Ryan’s tax plan also lowers the corporate tax rate. However, instead of lowering it to 15 percent like Trump’s plan would, the Ryan plan proposes lowering it to 20 percent. The plan would also limit the deductions and loopholes currently offered to businesses. The “Better Way” tax plan would try to minimize businesses moving their profits overseas by taxing them based on the location of their sales. Businesses are not able to hide their profits as easily under that plan. Like the Trump tax plan, the Ryan tax plan is predicted to lower government revenues but to grow the economy over time. The tax code is so complex that most people need a tax lawyer to understand how it applies to them or their business. Trying to change or simplify it is no easy task. Others have tried and failed numerous times. In fact, creating tax change is one of the most popular campaign promises for any presidential or congressional candidate. Yet actually getting serious reform passed is a monumental task. In fact, it hasn’t been done in more than 30 years. Sure, plenty of tax cuts have been made over the years, such as those made by George W. Bush when he came into office, but tax cuts are not the same as tax reform. Major reform involves changing the way the tax code is structured, such as eliminating the income tax as some have proposed or consolidating income brackets. It is important that you talk with a tax law lawyer any time that tax changes are made, whether they are simple cuts or part of a major overhaul. Otherwise, you could end up paying more taxes than you should, costing yourself a lot of money. Or conversely, you could end up paying less than you should, landing yourself in hot water. 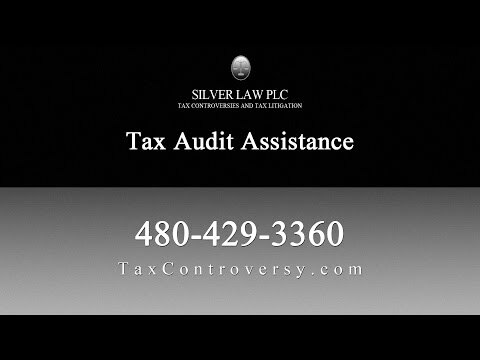 In Arizona, Silver Law PLC helps individuals and businesses understand their tax obligations and legal rights. Should any major tax reform actually be implemented in this administration or the next, it can mean significant changes to the way you pay taxes and plan your finances. We can help you understand how the changes impact you and ensure that you stay on the right side of the law. Contact us to speak to a Gilbert tax lawyer if you are currently facing the prospect of a tax audit, collections, tax litigation, or other serious tax issue.